Acidification of forests represents a potential danger only in the non-hydrocarbon part of Slovenia, especially in the east of the country. According to rough estimates, the critical loads occur particularly in the wider area of both major thermals (Zasavje, Celjska kotlina and Šaleška dolina). 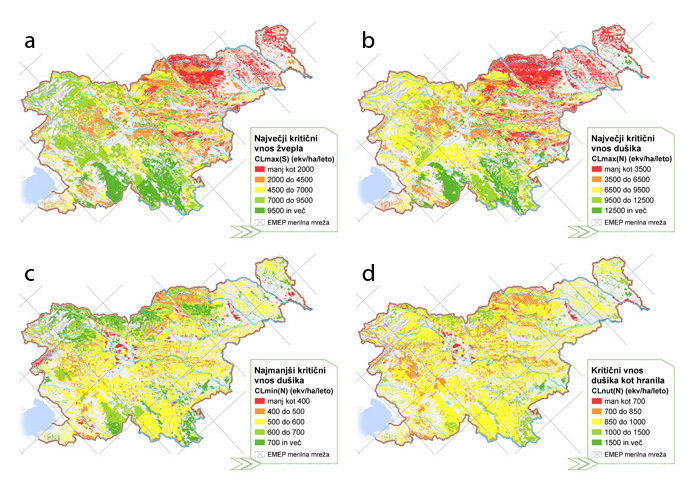 Excessive eutrophication of forests for deposition from the air does not take looming forest areas in Slovenia.